What is Pre-Settlement Funding and How Does it Work? How Much Funding Can I Get Against My Car Accident Lawsuit? Can I take a 2nd settlement advance on my case? What is a Buyout? Research shows that the workplace - a place many of us spend most of our week – may not be as safe as we think. In fact, according to the Bureau of Labor Statistics, a total of 100,900 cases of occupational injury where injured parties were forced to miss work were reported in 2010. It’s often hard to predict or avoid such incidents at work – especially when they are due to the negligence of an employer – but as your life goes on with bills to pay and a family to feed, the work hours missed due to such injury can become a very big problem. 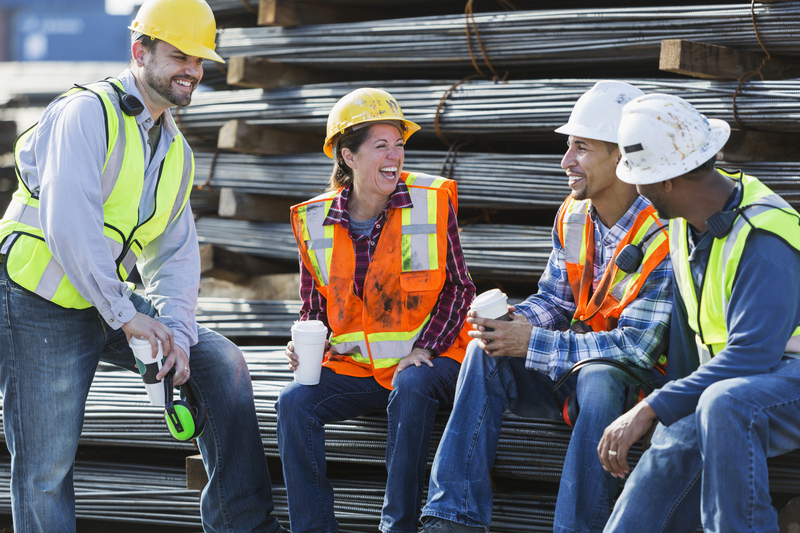 Therefore, it is crucial to know your rights as an employee when it comes to receiving due workers compensation for a work-related injury or illness. By knowing the laws, rules, and procedures which support your workers compensation claim, you will be able to get the most out of your compensation suit and potential settlement. According to Florida’s Division of Worker’s Compensation, if you have suffered an injury at the workplace in the state of Florida, you are required to report the injury to your employer within 30 days of your knowledge of the incident. From there, your employer is required to provide you with the proper medical office to visit per their workers comp. insurance (or the emergency room if it is an emergency), as well as the contact information of the insurance company handling the claim. The employer is required by law to report the injury to the insurance company within 7 days as well. Typically, the workers comp insurance provider will call you within 24 hours to provide you with the information you need regarding your workers compensation rights and obligations. An informational package is usually sent within 3-5 days as well, according to the Florida Division of Workers Compensation. From here, the amount you’re eligible to receive is dependent on the nature of the incident as well as how long you are put out of work. For instance, if you are forced to miss more than 7 days of work due to your injury, you may be eligible to receive Indemnity Benefits, which will partly compensate you for the days of work you would have otherwise had (Your first 7 days can only be recuperated if you miss 21 or more days). If a doctor determines you are unable to work at all, you are eligible for Temporary Total Disability pay, where you will receive 66.66% of your yearly salary, which will carry you for up to 104 weeks. (Severe injuries can yield up to 80% disability pay as well). In a worker’s compensation case, your employer is required to provide you with medical care for your injuries. However, you are required to go to a medical professional approved by the workers comp insurance provider, or else your treatment may not be covered. If any issues arise with the following procedures, you are encouraged to call the Worker’s Compensation hotline at 1-800-342-1741. For more information on your workers comp claim, please click here. If an insurance provider tries to deny you compensation for your injuries and cannot be reasoned with, you are able to file a Petition for Benefits with the Office of the Judges of Compensation Claims, according to Florida’s Division of Workers Compensation. In this instance, an attorney is recommended to help build and present your case. How Do I Receive Compensation in the Meantime? The Petition for Benefits process can be a long an arduous one if your employer refuses to pay your workers comp benefits. With negotiations, research to prove who is at fault, and the possibility of trial standing in the way of you and your due compensation, it can be many months to even years time before you receive the money you deserve. In such an event, you may be eligible to receive a pre-settlement advance from Bridgeway Legal Funding. Just like receiving a loan from a bank (but better); an advance puts a percentage of your estimated settlement in your pocket within 24-48 hours of applying, only you do not have to pay your advance back unless you win your case and receive a settlement, with nothing to pay back if you lose your case. Workers in all Florida counties may be eligible to receive a pre-settlement advance from Bridgeway. All you need to do is call 1-800-531-4066 or reach out at the link here to apply for an advance. Soon after applying, a representative of Bridgeway will be in touch to discuss the ins and outs of your case, requesting any medical records and insurance related documentation as well. If you are approved, you will typically receive up to 10-15% of your estimated claim value in a day or two, giving you fast, much-needed cash to use for hospital bills, daily living expenses or anything else you might need it for..
© 2019 Bridgeway Legal Funding All rights reserved.